HMS S8 and S8+ have been leakier than a rusty sieve over the last six months, however, that has not stopped Samsung making a last minute faux pas and posting the entire user guide to the Galaxy S8 in its download centre (the link has since been removed) without any password. The leak, which was originally discovered by Phandroid, is not a small one either, with the user guide detailing a dump truck-load of information about the new phone's key features. 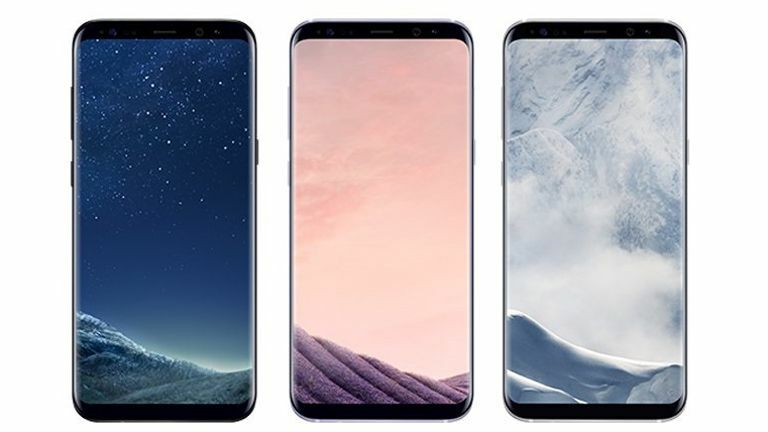 These include information on its Edge screen with super-slim bezels, the brand new Bixby intelligent assistant (which is capable of navigating the UI, setting reminders and performing image searches from your camera, among other tricks) and the phone's Samsung Dex support, which enables you to link the phone to an external display and use it like a computer. There's also mentions of things we didn't even know about, with the Samsung Galaxy S8 packing a "Bluetooth dual audio" feature that allows the user to stream audio to two different speakers or headsets simultaneously while also being able to control the volume on each independently. Multi window – You can run two apps simultaneously without changing the screen. If you use the snap window feature, you can select an area and pin it to the top of the screen and use other apps or features in the lower window. Edge screen – With various Edge panels, you can access frequently used features quickly and easily. You can also capture an area of content and share it with others. Hello Bixby – View frequently updated content, such as the weather, reminders, and alarms, in one place. Hello Bixby analyses your usage patterns and provides suggested information, apps, and functions based on your routine. Bixby Vision (image search) – Bixby Vision is an image search feature that lets you search for relevant information conveniently. Activate Bixby Vision and scan objects or locations with the camera to search for products online or nearby places. You can also translate detected text. Reminder – Schedule notifications and to-do items or use location reminders. You can also create reminders from videos, images, or websites to view them later. Bixby (intelligent voice assistant) – Bixby is an intelligent voice assistant that helps you use the device more conveniently. Press the Bixby key or say “Bixby.” Bixby will respond to you. Start a conversation by talking or typing. Bixby will launch a function you request or show the information you want. Iris recognition – The iris recognition feature uses the unique characteristics of your irises, such as their shape and patten, to strengthen the security of your device. You can use your iris data to quickly unlock your screen, verify your Samsung account, and sign into webpages and more. Fingerprint recognition – A built-in capacitive sensor reads your fingerprint when you touch it from any direction. Use your fingerprint to unlock your smartphone and pay with Samsung Pay. Face recognition – Unlock the screen using facial recognition instead of drawing a pattern or entering a PIN or password. Secure Folder – Protect your private content and apps in Secure Folder. Photos, memos, and apps in Secure Folder cannot by accessed by others. You can also keep your private content and apps secure by hiding Secure Folder when the device is unlocked. Samsung Pass – Register your IDs and passwords for websites to Samsung Pass and verify your identity securely via your biometric data, rather than entering your login information. Experience the improved camera for taking photos. You can either take clear selfies with the front camera’s smart Auto Focus (AF) feature and create various scenes with the various shooting modes and optimized filters. Samsung Pay – Register your frequently used credit or debit cards to make quick and secure payments. Purchase items by simply touching your smartphone to any standard credit card reader. Samsung DeX – Samsung DeX is a service that allows you to use your smartphone like a computer by connecting a smartphone to an external display, such as a TV monitor. You can your smartphone’s features on a large screen conveniently by connecting an external display, keyboard, and mouse. Samsung Connect – Connect to nearby devices, such as Bluetooth headsets or other smartphones, easily and quickly. You can also control and manage TVs, home appliances, and Internet of Things (IoT) products with your smartphone. Samsung Cloud – Store important data such as images, videos, and apps, securely in Samsung Cloud and view it on other devices. Bluetooth Dual audio – Stream audio from one smartphone to up to two Bluetooth headsets or speakers simultaneously. You can adjust the volume levels for each device independently, allowing users to listen comfortably. An external memory card (microSD card) – A micro SD card allows you to expand your device’s storage and lets you store more content, such as photos and videos. Water resistant – The Galaxy S8 meets IP68 standards to ensure that it is water resistant. Now, you can use your smartphone in wet environments. You can your smartphone freely in various situations. Connection with Gear – You can quickly connect your smartphone and Gear by using the Samsung Gear app. You can answer calls, receive messages, record your walking steps, or workout, measure your heart rate, play music, and more on the Gear. Woof! Well that certainly was a big fat leak and a half. And we're guessing that while the guide was listed as for Samsung Galaxy S8, all of the above will apply to the S8+ too. For more information about both the Samsung Galaxy S8 and Samsung Galaxy S8+ then head on over to T3's comprehensive S8 hub now. Also, be sure to check back in later today for T3's tasty hands-on review.